Determining the optimum mixing process is a vital aspect of paint, dye and lacquer manufacturing. The wide range of different products and applications demands the utmost precision and purity during the production process. 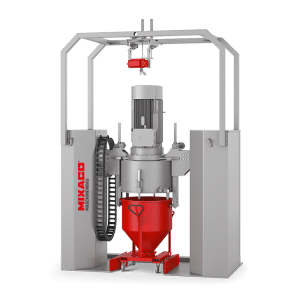 MIXACO has comprehensive know-how in the field of efficient, gentle mixing. Our specialists have a wealth of experience of industrial practice in the paint and dye industry, and profound knowledge of what is required when handling individual paint recipes and concrete formulations. Using this knowledge as a basis, they work with our customers on creating targeted solutions for industrial manufacturing challenges. 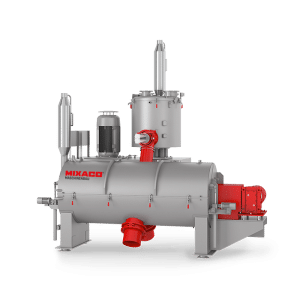 Once a MIXACO machine has been set up for a specific recipe, the long-term, continuous and trouble-free production of a perfect product is assured. All important parameters are already taken into account at the trial run stage. The focus during the mixing process is on dispersion, which enables the best possible color output for the pigments and an economical amount of these cost-intensive ingredients to be achieved. At the same time, there is still room for some improvements to processing quality in many areas. For example, the delicate form of effect pigments means they must be handled very gently. 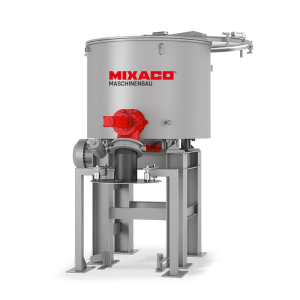 MIXACO mixers ensure the extremely careful bonding of pigments with the powder coating particles. The complex applications in the paint and dye industry, such as color master batches, mono master batches or single pigment concentrates (SPC), demand constant rethinking in terms of source materials, processes and workflow. 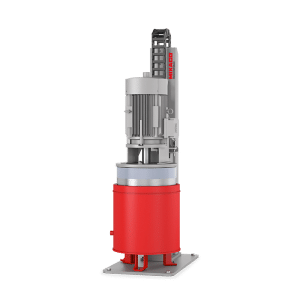 Our specialists’ profound knowledge of the relevant processes has also proved to be particularly impressive in decades of powder coating production. 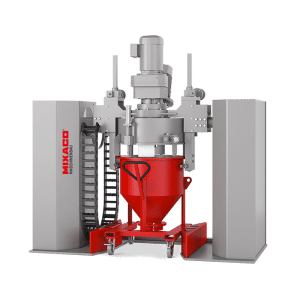 MIXACO really comes into its own whenever a combination of clean tool changes, rapid container replacement and superlative mixing quality is required. 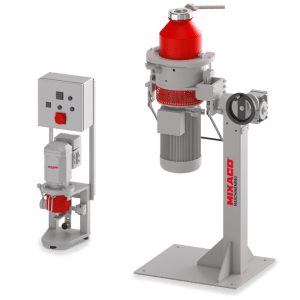 Our solutions and our holistic approach to all mixing-related work processes result in long-term simplification and optimization of production. 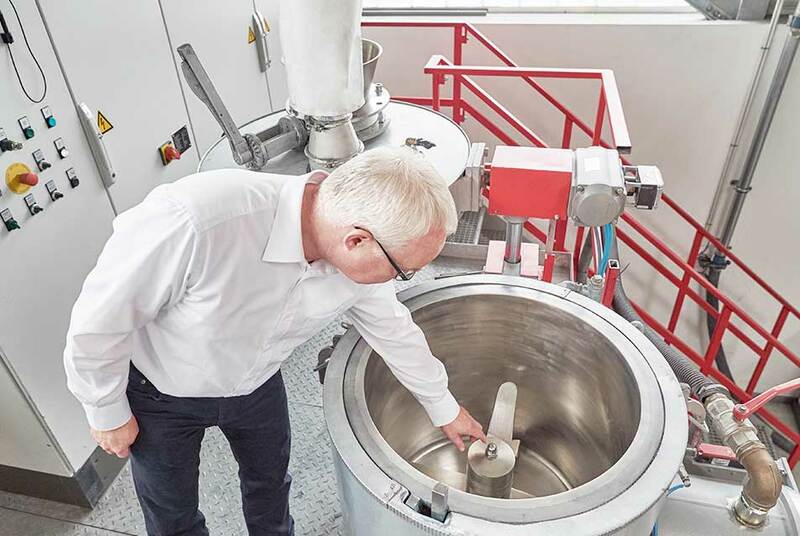 Even in small production runs, mixing processes can be speeded up and different-sized batches produced with more flexibility. Our products are manufactured in accordance with up-to-the-minute formulations which require optimum mixing quality. We have worked with MIXACO’s experts, whose thorough know-how never ceases to impress, for many years. MIXACO has a wealth of profound know-how in the field of paint and powder coating mixing. We have an expert command of all procedures for all common products and processes in the paint and dye industry. If you don’t have the right solution for a new idea, we will help you to design one immediately. Bonding ‣ Color master batch ‣ Mono master batch ‣ Powder coatings ‣ SPC ‣ etc. We supply mixing systems for the development and production of paints and dyes in a wide range of dimensions and batch sizes. 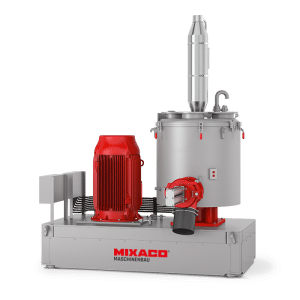 As a leading supplier in this market, MIXACO delivers maximum efficiency, superlative mixing quality, optimum machine availability and a wealth of unique know-how for the complex individual requirements of the paint and dye industry. Your Reliable Partner for Paint and Dye Mixing Questions.